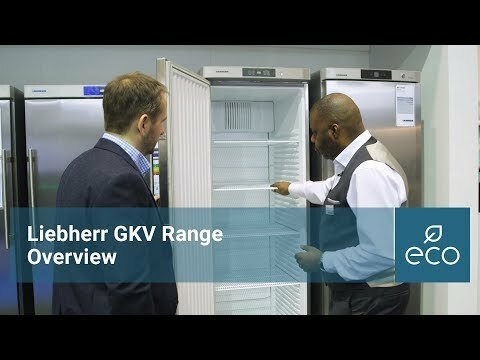 The GKv 5710 Economy forced-air Gastronorm refrigerator are the perfect solution for economical, large-capacity storage requirements. The GN 2/1 shelves are easily height-adjustable, permitting full use of the interior. The temperature can be set precisely from +1°C to +15°C. The complete range is very energy-efficient with low running costs.